TOKYO -- Years after losing his son, Itsuo Sekigawa is still in shock, grief-stricken and angry. Straight out of college in 2009, his son Satoshi proudly joined a prestigious manufacturer, but within a year he was dead. Investigators said working extreme hours drove him to take his own life. The young engineer fell victim to the Japanese phenomenon of "karoshi," or death from overwork. "An 'early' day for him was going home at 9 p.m. If work wasn't finished, he'd stay until midnight." Seven years later, Japanese people are still working themselves to death. This month, state broadcaster NHK revealed one of its reporters, 31-year-old Miwa Sado, had died from heart failure after working a run of near-14-hour days. It took four years for NHK to announce Sado's death, and her parents accuse the network of a cover-up. 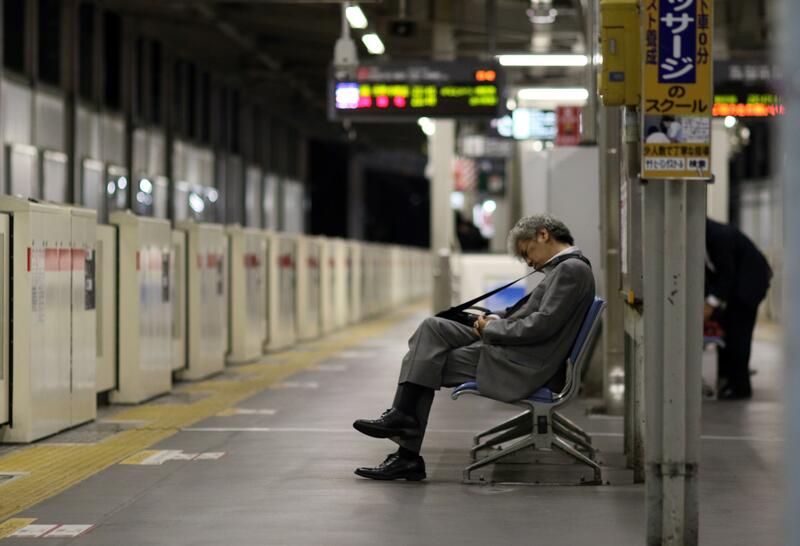 "The reality is that workers in Japan are working ridiculous hours. I think that's hard to deny," Louis Carlet, an American labor activist in Tokyo, tells CBS News. He says such sacrifice is seen as a virtue here. "There's a strong cultural norm that you have to devote everything to the company, and you're a 'corporate warrior,' and that's what really pushes people over the edge," he says. Karoshi hits everyone from doctors and truck drivers to computer programmers and construction workers in Japan. Grieving father Sekigawa says while Americans work overtime to get ahead, "Japanese work extreme overtime because they are forced to." Last year, just under 2,000 Japanese committed suicide for reasons linked to work -- a number that has remained stubbornly high for two decades. Families of karoshi victims say the government's proposal to cap overtime at 100 hours a month, and exempt many professions, won't stop people from working themselves to death. "There is no job worth a human life," says Sekigawa. "But if our politicians passed laws that really hurt companies, they'd lose elections. So I'm afraid the situation is insoluble."